This is a very beautiful card. I love the frame you made for your image. Thank You for sharing over at The Robyn's Fetish Challenge Blog. Like the Rose image, coloring, colors, how you framed it & embellished. Thank you for entering OSAAT Ch212 Use A Digi. Congrats on the guest designer spot! LOVE these gorgeous roses! Such a beautiful card. 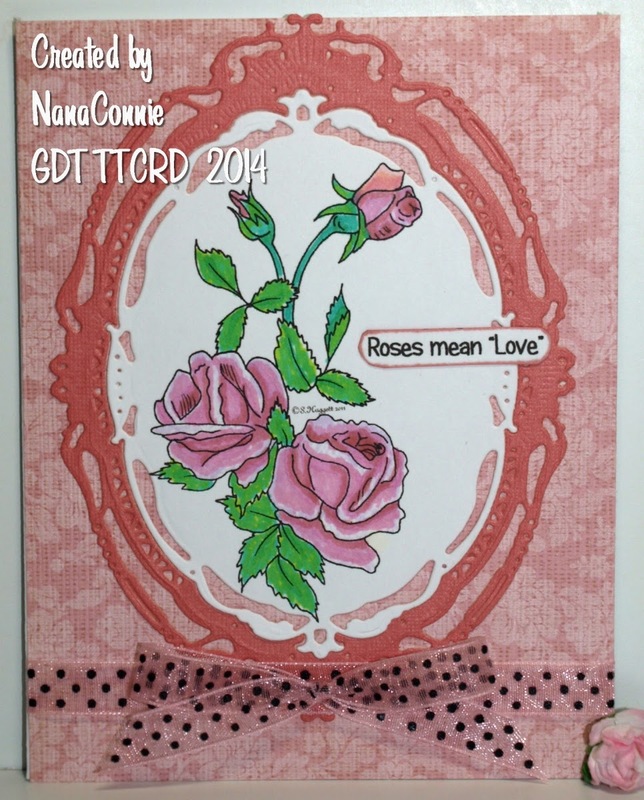 Beautifully done NanaConnie, a fabulous card! OMGosh, your roses are lovely! The die cuts are beautiful and I love dotted swiss too! Another stunning card NanaC! Can you tell I'm playing catch up afer my week away? Lol!